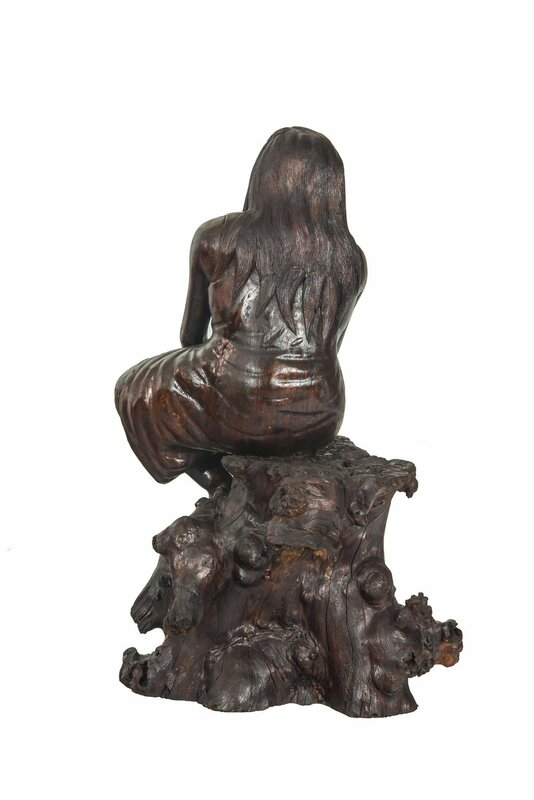 Made of polished teak wood, Thinking Woman is a handmade sculpture by artist Vladimir Nazarov. 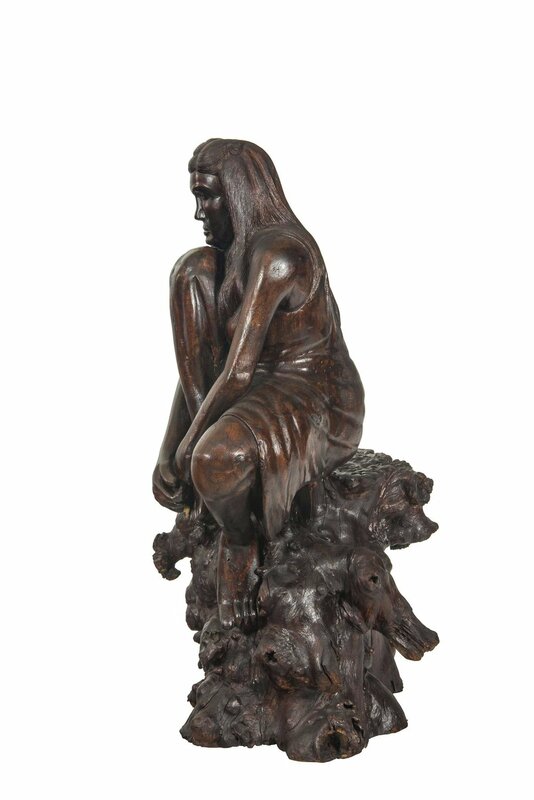 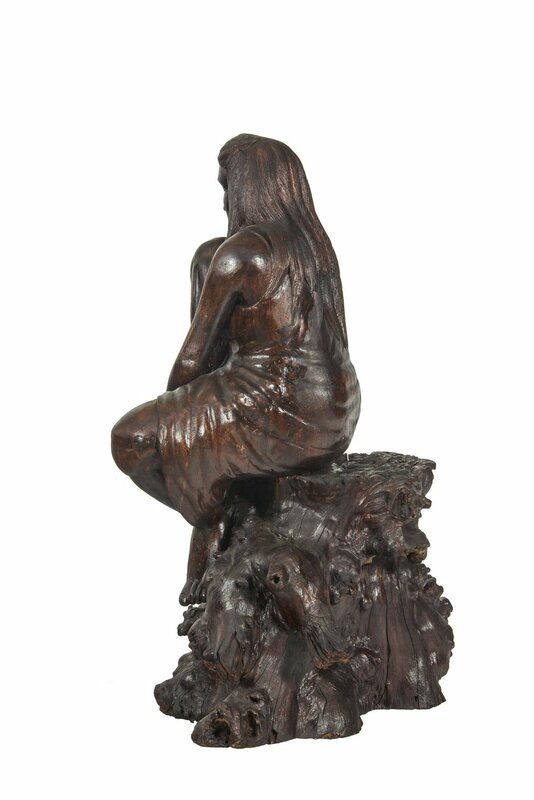 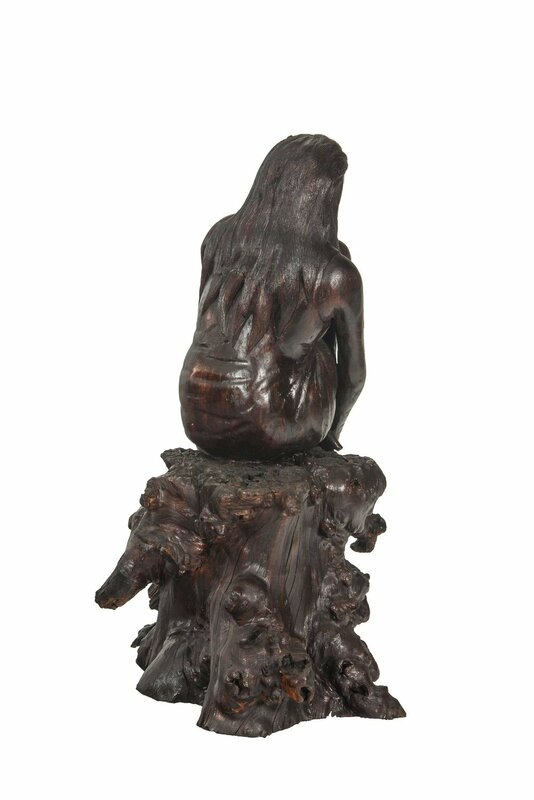 Seated in a serene and contemplative state upon a stump – characteristically left in its natural state by Nazarov’s command - the abstract waves and roots growing up at the subject’s base connote the Thinking Woman’s elemental sacredness and profound Nature-based wisdom. 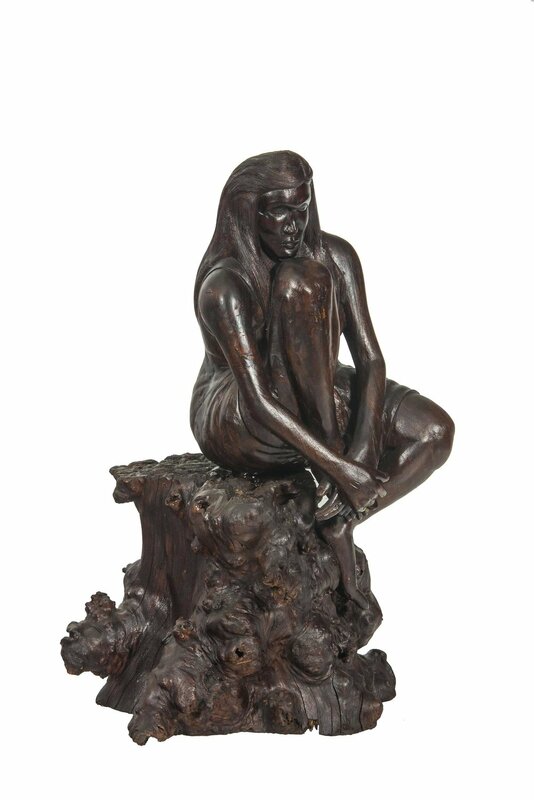 Celebrating the elemental duality at the core of her psyche, Thinking Woman nods to the wealth of intellect and intuition that comprise female subjectivity.